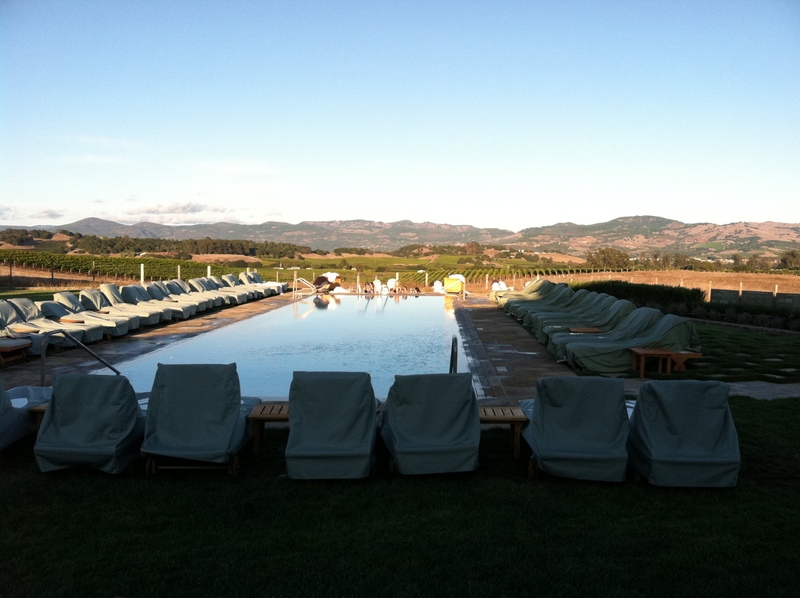 View of the hilltop pool at the Carneros Inn. This was taken after we enjoyed a glass of Stags Leap Gypsy wine in the hot tub with the Conns. It would have been pretty impossible to have a better day in Napa! uhhh u want to be there……….